Corten Steel ASTM A709 50 Plates Supplier, Corten A709 50 Corrosion Resistance steel Plates Exporter, ASTM A709 Corten Steel 50 High Tensile Plates Dealer. Marc Steel is a well-known supplier and exporter of ASTM A709-50 Corten Steel Plates, which has a number of excellent attributes to provide like rust proof, corrosion proof, low maintenance and more. Presented ASME SA 709-50 Corten Steel Plates is very much admired in the industry for its timely and accurate execution. 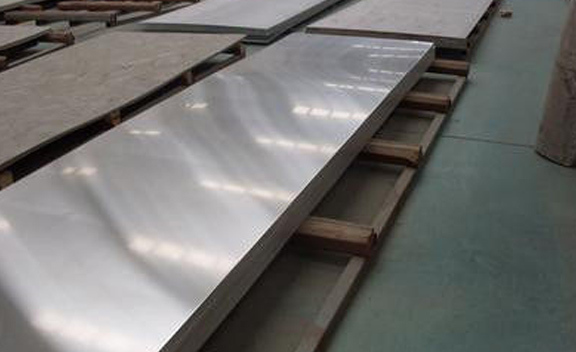 ASTM A709 50 Plates This ASME SA 709-50 Corten Steel Sheet are being made by finest collection of raw materials and are obtainable in a wide range of materials and sizes at most reasonable rates. Customers can get these ASME SA 709-50 Corten Steel Coils from us in numerous thickness and dimensions according to their precise specification and requirement. Our presented ASME SA 709-50 Corten Steel Plates are considered by using soaring-grade mechanisms at our well-fortified infrastructural unit. The technical and sizes details of ASME SA 709-50 Corten Steel Sheets according to the client itemized. Buy Corten Steel Plates at affordable price from us. CORTEN 50 ASTM A709 CORROSION RESISTANCE STEEL PLATES DEALER, CORTEN 50 ASTM A709 HOT ROLLED STEEL PLATES, ASTM A709 CORTEN STEEL 50 COLD ROLLED PLATES STOCKIEST, CORTEN 50 ASTM A709 STRUCTURAL STEEL PLATES EXPORTER, CORTEN STEEL PLATES, CORTEN 50 ASTM A709 STRIP-MILL SHEETS EXPORTER IN INDIA. Furthermore, a crew of our quality inspectors carries out a series of quality inspections on this ASTM A709-50 Corten Steel Coils to look any likely fault. In addition, we can as well source our collection of ASTM A709-50 Corten Steel Plates according to the specifications offered by our customers. Presented ASTM A709-50 Corten Steel Coils is performed by our expert specialists in an outstanding way to attain highest satisfaction of our clienteles. We are as well capable to manufacture, provide and trade service for best quality collection of ASTM A709-50 Corten Steel Sheets. Israel, Saudi Arabia, Afghanistan, Bangladesh, Azerbaijan, Turkey, Gambia, France, Oman, Russia, Zimbabwe, Mexico, Sweden, Denmark, Costa Rica, Italy, Kuwait, Nigeria, Nepal, Pakistan, India, Puerto Rico, United Kingdom, China, Hungary, Tibet, Venezuela, Vietnam, Australia, Iran, Germany, Poland, Singapore, Jordan, Morocco, Canada, Malaysia, Iraq, Slovakia, Mexico, Gabon, Ireland, Ukraine, Algeria, Egypt, Qatar, Norway, Indonesia, Kenya, Romania, Serbia, Finland, Philippines, Ecuador, Portugal, Taiwan, Spain, Libya, Austria, Bolivia, Lithuania, Czech Republic, Netherlands, United States, Chile, Nigeria, Switzerland, Sri Lanka, United Arab Emirates, New Zealand, Mongolia, South Africa, Kazakhstan, Poland, Bulgaria, Angola, Thailand, Hong Kong, South Korea, Estonia, Greece, Trinidad & Tobago,Tunisia, Lebanon, Belarus, Colombia, Bahrain, Belgium, Japan, Iran, Croatia, Peru, Yemen, Ghana, Bhutan, Argentina, Namibia, Macau, Chile, Brazil. Coimbatore, Cairo, Kanpur, Nagpur, Algiers, Surat, Mumbai, Ranchi, Perth, Ludhiana, Madrid, Ankara, Port-of-Spain, Riyadh, Toronto, Petaling Jaya, Jakarta, Bengaluru, Jeddah, Thane, Lahore, Kuwait City, Baroda, Gurgaon, Pune, Houston, Gimhae-si, Noida, Faridabad, Calgary, Seoul, Tehran, Colombo, Ulsan, Al Jubail, Geoje-si, Granada, Hanoi, London, Rajkot, Edmonton, Santiago, Dubai, Melbourne, Karachi, Milan, Ernakulam, Aberdeen, Bhopal, Pimpri-Chinchwad, Sharjah, Ahmedabad, Indore, Caracas, New Delhi, Sydney, Rio de Janeiro, Hyderabad, Vung Tau, Chandigarh, New York, Lagos, Chiyoda, Courbevoie, Mexico City, Dammam, Manama, Muscat, Vadodara, Brisbane, Bogota, Secunderabad, Jamshedpur, Kolkata, Atyrau, Visakhapatnam, Jaipur, Thiruvananthapuram, Doha, Nashik, Bangkok, Montreal, Ahvaz, La Victoria, Dallas, Kuala Lumpur, Howrah, Busan, Abu Dhabi, Los Angeles, Ho Chi Minh City, Istanbul, Al Khobar, Hong Kong, Chennai, Moscow, Haryana, Navi Mumbai, Singapore.